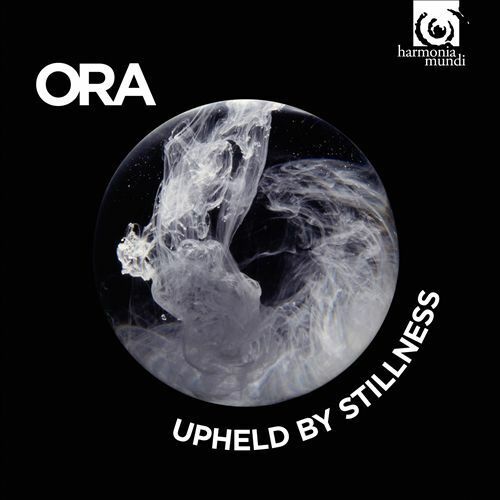 ORA Singers debut album perfectly fulfils perfectly the group's core artistic aim of capturing Renaissance masterpieces alongside contemporary reflections. Upheld by Stillness pairs Byrd’s Mass for Five Voices with contemporary musical responses to each of its movements, by Roxanna Panufnik, Francis Pott, Alexander L’Estrange, Owain Park and Charlotte Bray. the album is rounded off by Byrd’s Ave verum corpus and Roderick Williams’s ‘re-imagined’ response. "This impressive disc marks the debut of the 18-voice chamber choir Ora. If you’re wondering why another such ensemble is needed, the very distinctive programme is the answer...In bold projects like this, the ever-reliable English choral tradition is renewed again." "Digby's direction is about as interventionist as you can get without being mannered. Crescendos swell through the Gloria and pacing surges and stills with emotion always at the fore." "The performance of the mass itself is exceptionally strong, capturing its verbal concision and intensity, as if the recusant Catholics who performed it knew they might have very little time and had to make each word count...A highly original choral recording, strongly recommended." "This is a superb and exciting release. I expect to spend a lot of time exploring its mysteries of connection, reflection, and musical commentary and look forward to the continuation of the series. If you are at all interested in choral music or in Byrd's music, this is something you ought to own."